Homework Time: How Much is Enough? When I was in college, I thought I needed to spend hours and hours studying, but it was too much time, and I ultimately wasted much of it wandering around the library, looking at unrelated books, and talking with friends. My first quarter grades reflected my lack of focus. The second quarter, I tried a new approach. I allowed two hours per day for homework and focused the whole time on my work. The result was better attention and better grades. How much time do your children set aside for homework and, most importantly, is it focused time? Do your children stay up too late doing homework? Can you pinpoint the reasons? One subject or problem is taking too long. Student is wasting time, or not focused. One or more teachers assigned too much work. The student is procrastinating or avoiding one or more assignments. Comment on this post using your Google account, and join in on the conversation! Let's pinpoint the trouble areas with the goal of doing homework faster and more efficiently. There is no doubt that the use of technology has enhanced productivity and learning in many ways. However, some of us are suspicious of the effects of overuse, and for good reason. I recently attended a seminar by William Stixrud, an well known local neuropsychologist, and I would like to share with you what I learned. Did you know that self regulation and executive functions (which control organization and planning) are better predictors of academic success than IQ? This applies to all grade levels, including college. Research has found that increased technology use is associated with poorer executive and self regulation skills. (On the other hand, free play helps with executive functions.) Self regulation is associated with impulse control and the ability to plan and wait for a reward. Think about which situations provide delayed rewards and which provide immediate rewards. Video games are tempting because they provide instant gratification, and thus they are difficult competition with books, homework, chores, etc. Engaging in too much technology not only hinders our patience with delayed rewards, but also plays a role in reducing creativity, active play and exercise, and sleep, all important factors in being healthy. Time spent with technology also takes away from needed mental down time to just chill. 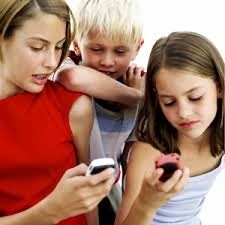 · Does your child sleep with her phone and text people in the middle of the night? Research has shown that 87% of teen cell phone users sleep with their phones on. · Are you and other family members constantly on the alert for emails and texts? Are you on your phone instead of personally interacting with other family members? · Do you have family dinners? Are family members attached to their phones at dinner or engaged in live conversations? · Are you addicted to Facebook? Like most people these days, I frequently check my emails and voice mails. However, I rarely text and am the only member of my family without a smart phone and without a personal Facebook account. I like to be in the real world. When I’m out, I like to talk to actual people and enjoy nature. If my friends have something personal to tell me, they know how to find me. Sometimes I miss the opportunity to Google something on the spot, but I can wait. I don’t expect you to give up your phone, but consider having technology free periods of the day for your whole family. Don’t let your kids sleep with their phones; the phones should be off and charging overnight. Enjoy your e-books, but once in awhile get some regular books from the library. Spend some unplugged time with your kids, doing something you all enjoy. Choose activities that involve nature, like hiking, camping, and biking; studies show that both nature and exercise can help reduce stress. Taking away your kids’ technology for periods of time may be hard, but it can provide appealing alternatives instead. Ultimately, it will be worth the effort. Studies have shown that screen time is an independent risk factor for stress, as well as attention and behavioral problems. Screens of all kinds are here to stay, but take the challenge to find more alluring things to do. Written by Cheryl Gedzelman, taken from lecture by William Stixrud, Ph.D. clinical neuropsychologist. David Coleman, President of the College Board, announced changes to the SAT that will be implemented in the spring of 2016. These changes, overall, are meant for the SAT to be better aligned with high school, college, and career work. 2. The score will return to a 1600 scale from the current 2400 scale. 3. The exam will be available in both paper and digital forms. 4. There will no longer be a penalty for wrong answers (like the ACT). 5. Every SAT will include a passage from a “Founding Document” such as the Declaration of Independence. 6. There will no longer be “obscure” vocabulary words. Instead, the vocabulary words will be those “widely used in college and career” (College Board). 7. The math section will allow calculators only in certain sections. 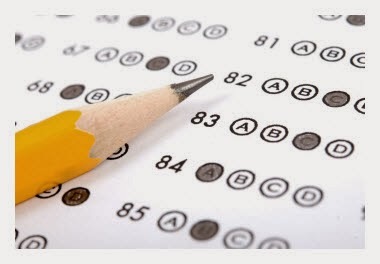 Because the exam will be more attuned to high school work, the goal, according to Coleman, is for students to do well on the SAT as a result of working hard in high school, and should not need to spend as much time studying specifically for the SAT. In addition, the SAT content and scores will be a better predictor of college success.